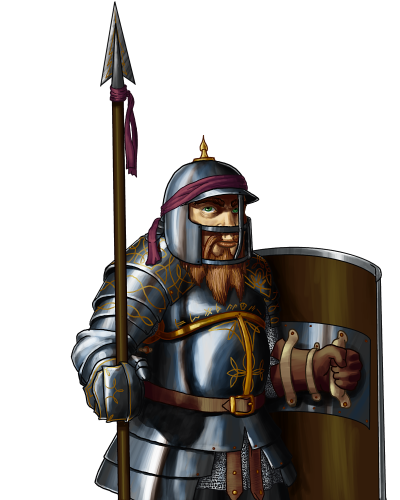 Champions among their fellow troops, the dwarven sentinels form the bulwark of their battle lines. Leading a direct assault against a line that they fortify, is often out of the question; it tends toward being suicidal, rather than merely ineffectual. These dwarves are masters of the melee, and can hold a patch of earth with the singleminded tenacity of an oak.